1. Fisher Tropsch catalytical conversion to ethylene. 2. Biofermentation to ethanol On the CO poor tail gasses from the PSA and separation pilot installation tests will be performed using Clathrate technology, where CO will be separated from nitrogen (N2) and other gas components. AM has partnered strategically with experts/technology owners: DOW is expert in CO2 separation technology & CO conversion technology. LT, DOW & UL will assess the quality of separated streams and their full characterisation for future applications, using existing (DOW, LT) and innovative technologies (UL). 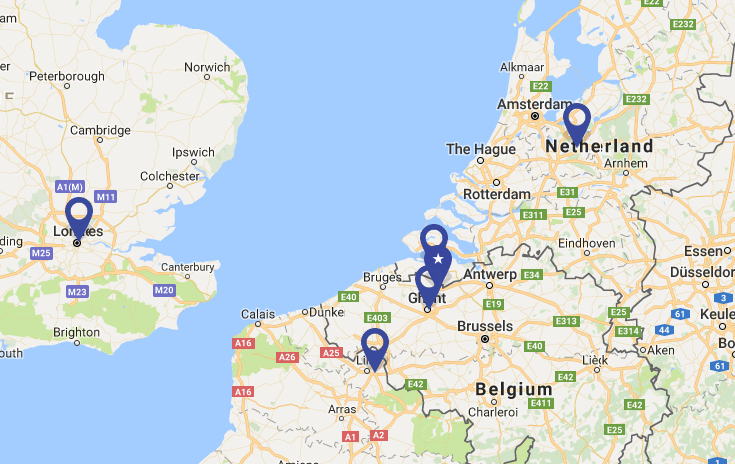 ISPT (NL), POMOV (BE) and UL (FR) will bring all the actors together to create awareness of the project and favour future roll-out of the pilot line in companies across borders AM and DOW are located on the Gent Terneuzen Canal (15km) enabling efficient materials transfer. The Carbon2Value project has received support form the Interreg 2 Seas program. The total project budget is 10.5 million euros, of which 4.4 million euros ERDF subsidies. The project is focusing on a specific objective of low carbon technologies.